Help your teenager make one of the most memorable moments of their high school years, one to remember. They've got the outfit, the shoes, the corset, but what prom would be complete without the ultimate luxury transportation? 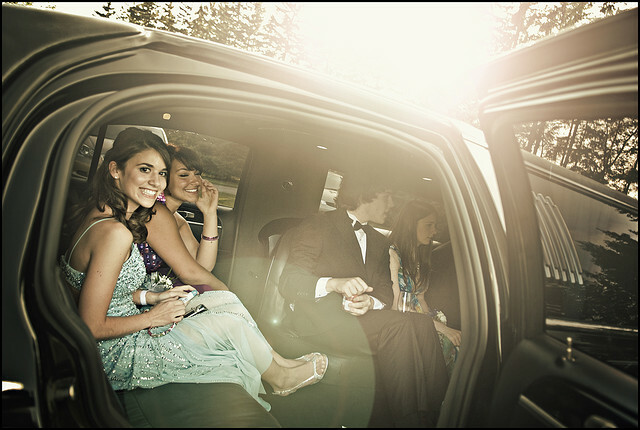 Treat them to the ultimate VIP experience and arrive at prom in grand style. Their personal chauffeur will take them to dinner in utmost style and then over to the prom itself. Your high schooler will remember their this as one of the best experiences of their life. Parents can also feel assured that your teenager and their friends are in good hands with our professionally trained and licensed chauffeurs, while escorted in style, comfort and safety. They will be given the utmost respect and care that is needed to have a an unforgettable night without all the worries. We also have rides of all kinds-- from Hummer limos to stretch limos and party buses available. All of our vehicles are equipped with lounge-style leather seats, dual TV's, state-of-the-art sound system, special lighting, and complimentary non-alcoholic beverages on ice. We can customize your limo to your liking. Call San Francisco Limo today at 415-801-3355 or fill out the form to the right. Let us help put together the best prom experience your teen will ever remember.